I made a card similar to this recently, and now have made it as a treat bag topper. 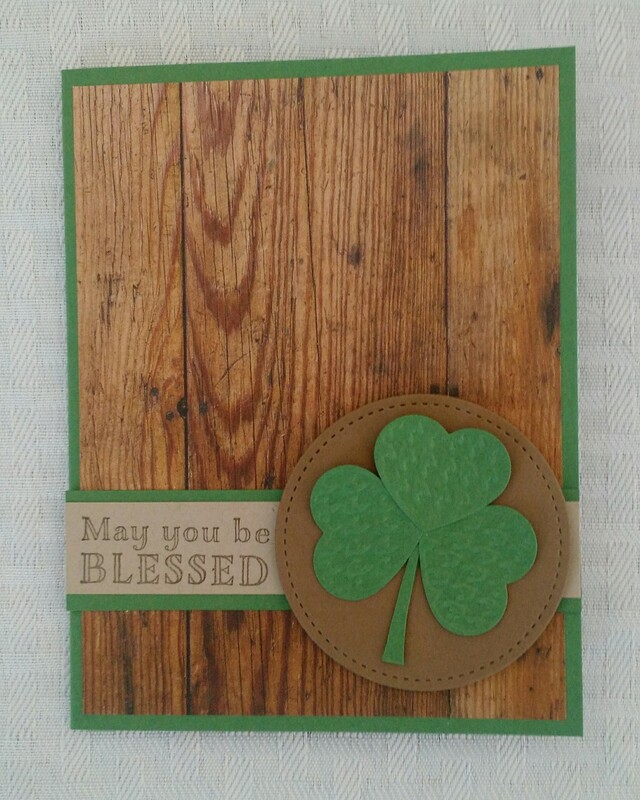 The gold heat embossed sentiment is from the Suite Sentiments stamp set. 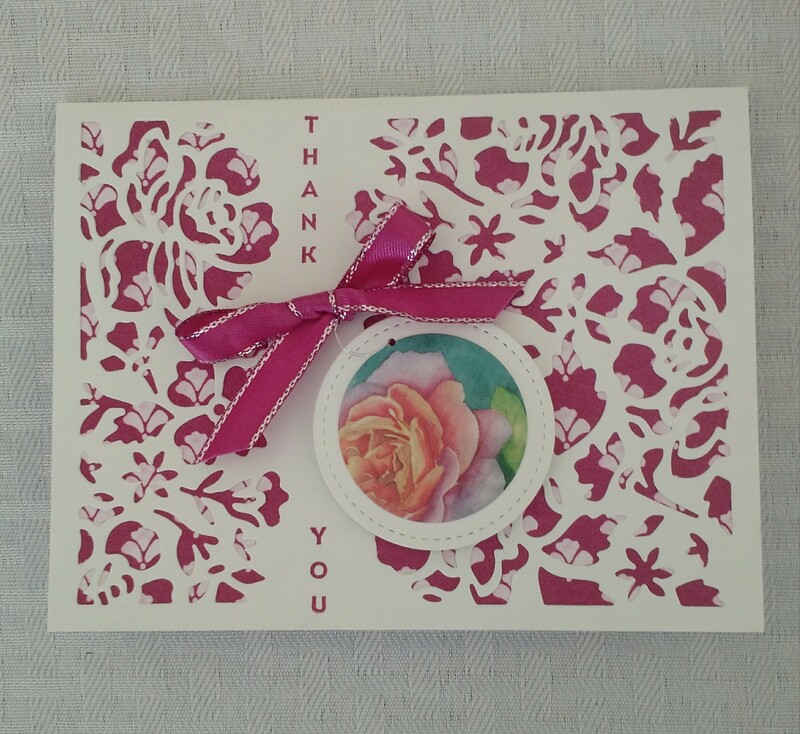 The flower is made from the Botanical Builders Dies, with gold accents from the Petals & More Die Set. 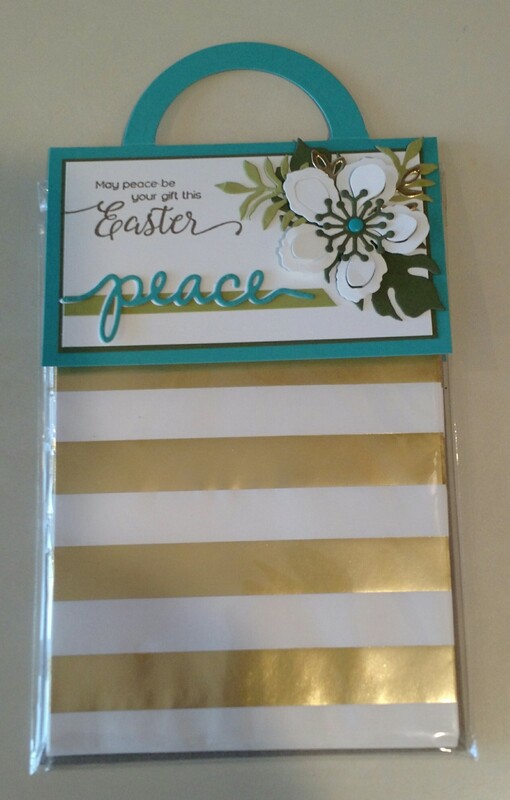 The “peace” is made with the Christmas Greetings Dies. 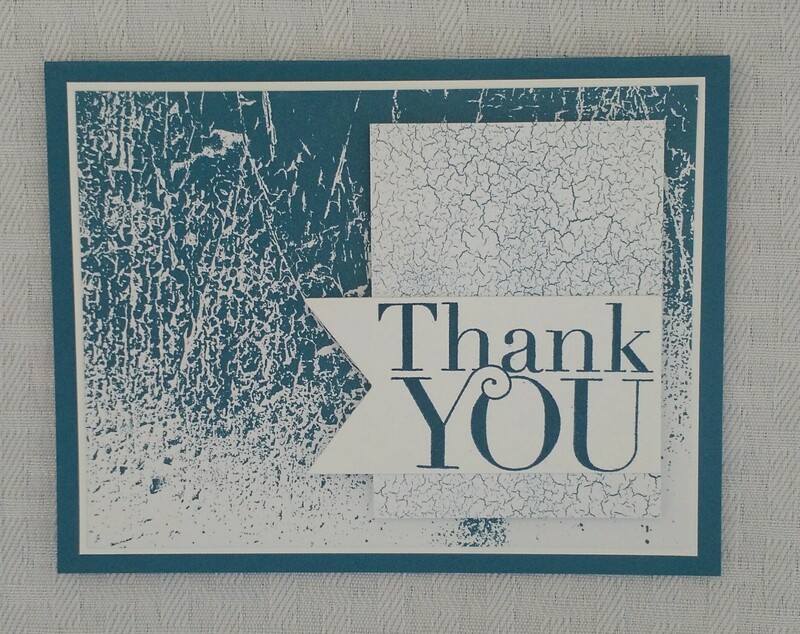 The gift bag is a Stampin’ Up! product as well. The handles are made by placing two circle dies on the (unfolded) cardstock, so that the fold is in the middle of the dies. Place the top plate of the Big Shot on only half of the dies so that the half below the fold is cut. I tried it on a piece of scrap computer paper before cutting into the cardstock. It’s a fun little added feature! 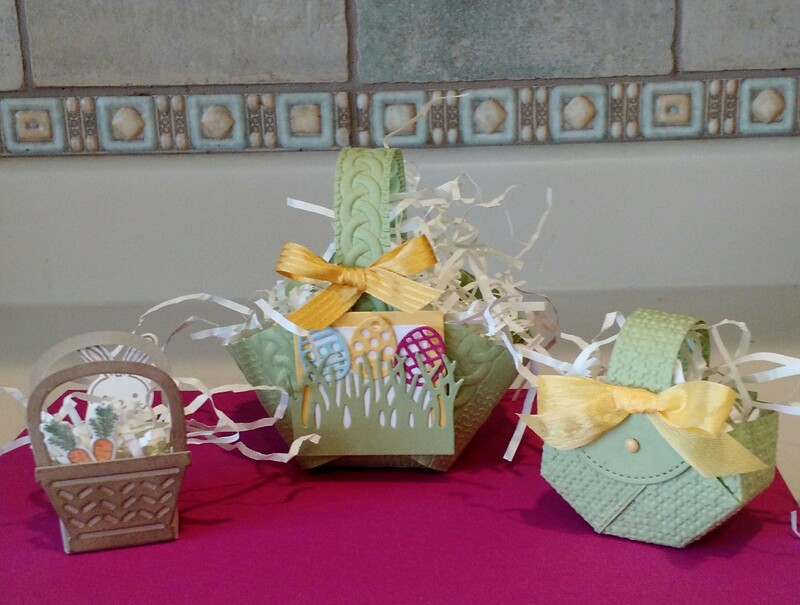 We’ll be making one of these Easter baskets at our stamping class next Tuesday. The first two from the left are made with last years “Basket Bunch” stamp set and “Basket Builder” framelits. Should be fun! 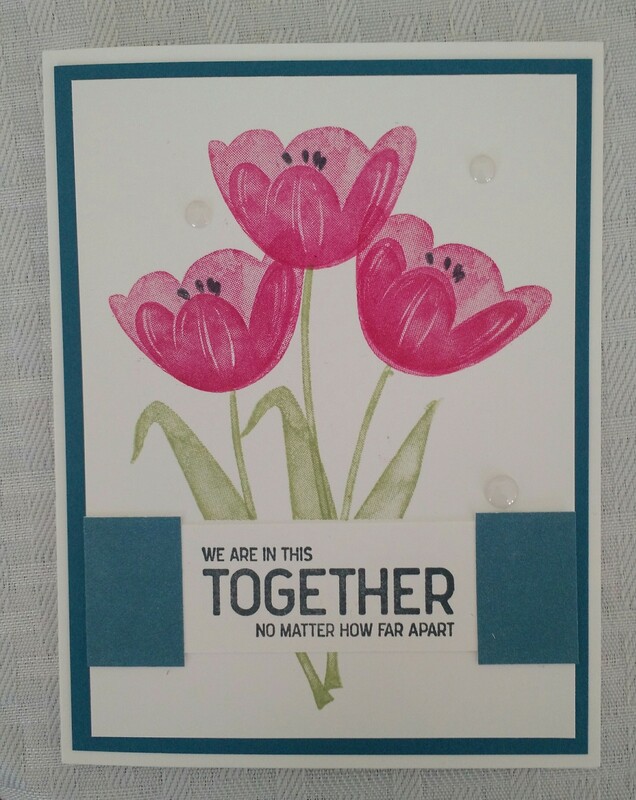 This was my first attempt ever at making an easel card. 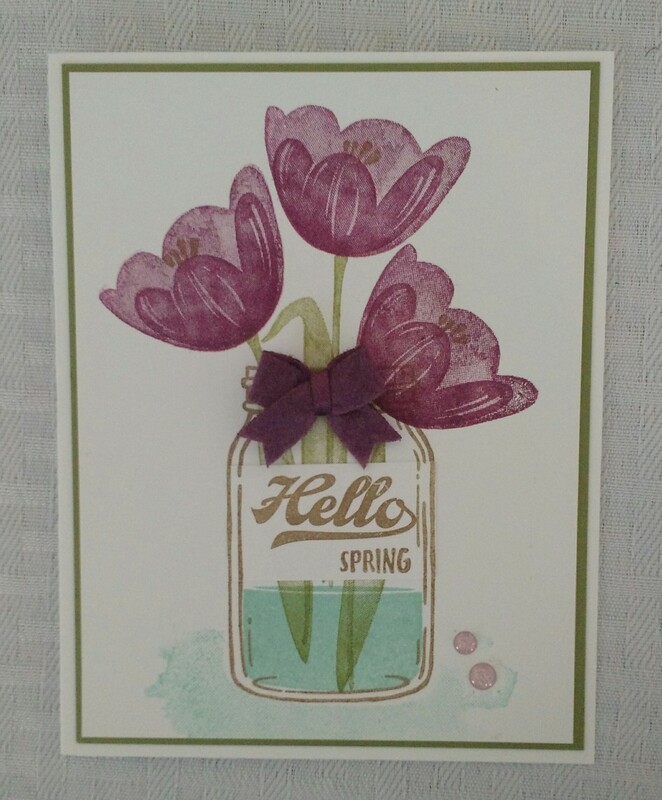 My friend and fellow stamper, Patti, had made one for me so I was able to look at it and figure out how to make one…so easy! The hard part was figuring out how to make the BigZ Top Note Die cut so that there is a fold at the top (it cuts out one panel). Come to find out, that is very easy. 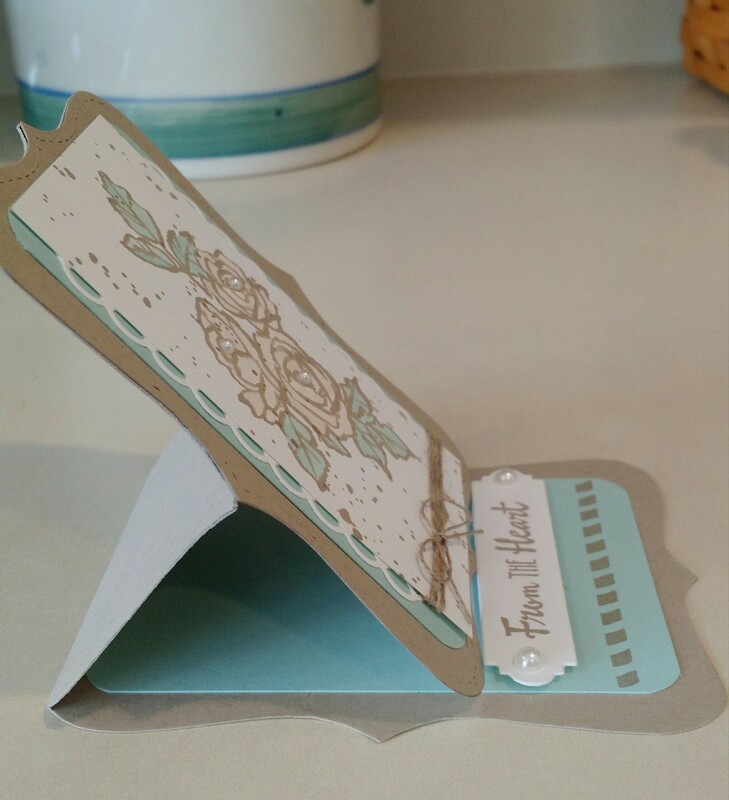 Fold a piece of cardstock in two and then put the top plate of the Big Shot below the fold so that the fold is not cut. Then score the front half in the middle and fold it backwards. Glue the top half of a single panel to the backward fold. 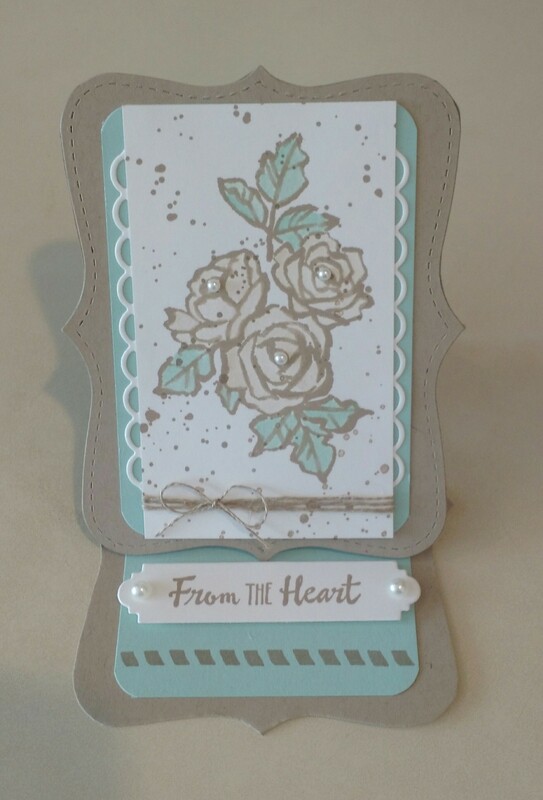 A fun card and fun to make! CAS(e) this Sketch#263 for St. Patrick’s Day!